Can you help us raise funds through your online shopping? The charity has signed up to Give as you Live, an online shopping link which gives donations to charities from commissions paid by the online retailers you buy from (at no cost to you). 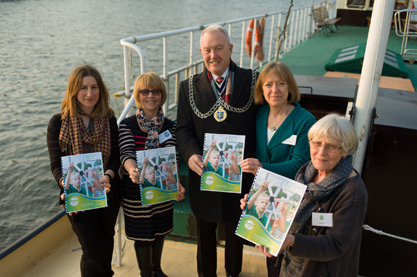 You first need to join, and select the River Thames Boat Project as your cause. If you join using this link we will obtain an additional £5. Anyone can use it. Please invite friends and family. You can either send them the invite link above or create your own using the ‘recruit your friends and get a free £5 donation’ option. 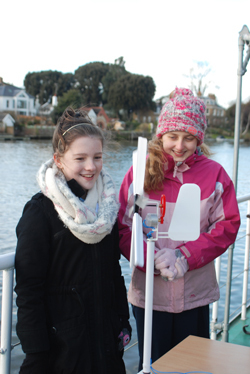 Make sure you ask them to specify the River Thames Boat Project as their cause! Here is a quick video of how it all works. And please tell us what you think. Are you comfortable with this sort of fundraising? Have you come across better options ? Please email paul@rtbpfriends.org. 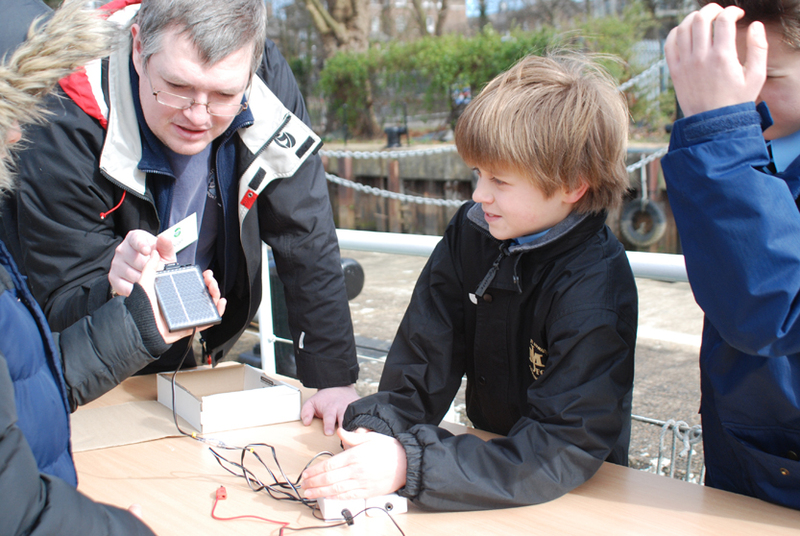 There have been some exciting developments at the Boat Project in the past few months, in two main areas – boat development and fundraising. The Board of Trustees has given formal approval for the construction of a new day boat, based on a high-level specification – in terms of build, accessibility and facilities. We are now in the process of appointing a naval architect to develop the detailed specification that will be put out to tender. This is a discrete piece of work, but obviously the more detail at this stage, the more robust will be the tender document and the final estimates. We will be inviting three yards to tender. The decision to construct, as opposed to purchase/refit, was taken following an assessment of the benefits/drawbacks of each approach, and drawing on professional advice. As a disabled-access boat, we have very distinct requirements. We also spent time considering whether to increase passenger capacity above our current numbers. Client feedback, together with the regulatory challenges of increasing the number of passengers we carry, led us to conclude that 12 (including up to six wheelchairs) is still the optimum number. Any more and the impact on client service – and costs – could be negative. We are still crafting the plan and the message for a public fundraising campaign – as it’s not just about boat building – but our private fundraising is going well. Thanks to some very generous individual donations already received, and a further source of funds that we are in the process of finalising, we are in a great place and able to move forward quickly. The behind-the-scenes support the Charity has received for this project has been more than we could ever have hoped for and we consider ourselves to be very fortunate indeed. 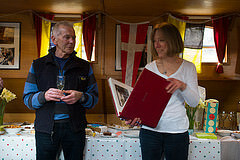 1st April was Miranda’s 25th anniversary with the River Thames Boat Project and all of her Chairs (except the late Martin Emerson), other Trustees and long term volunteers gathered on the boat to thank her for her enormous contribution to growing the Charity over the years. Cakes courtesy of Louise Sibley and Linda Varney! Crew refresher training started earlier than usual this year – necessitated by School on the River bookings and a very early first client trip on 29th March! This year’s training was a ‘back to basics’, reinforcing knowledge and experience of evacuation, fire extinguishers and safety equipment. We mustn’t forget our knot know how too! How lucky we are to have enjoyed such a warm and glorious spring – the opportunity was not missed to call upon our volunteers to help with the never-ending task of painting. 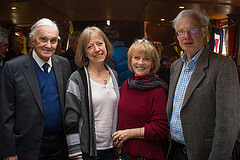 Thanks to the team that turned out Venturer is looking shipshape again. We have a few more tasks to complete including the installation of a new all-singing and -dancing VHF radio which will give us hands-free communication with the bow crew from the wheelhouse. The new intake of volunteers have also been put through their paces on our new crew training day – we wish them well as we look forward to another season of making memories for crew and clients alike. Dates have been set for our 2015 photographic evening cruises hosted by John Frye (www.johnfrye.co.uk). All are welcome. If you are interested in joining us for sunset on the river with professional guidance in picture-taking and delicious refreshments, follow this link. The final few days of dry dock are always like a rush to the finish line but I’m pleased to say we made it and Venturer returned to her home mooring on Monday under grey skies and a bitter breeze. With the priorities of inspecting /painting the hull, and replacement of the rudder skeg bearing complete, we shall spend the Winter completing maintenance and improvements that can be done afloat, all the while waiting for Spring or a period of warm settled weather when we can paint the decks and superstructure. I would like to thank all the volunteers who came to the dock and braved the cold, the dirt , and the skipper to get all the work done – great job ! !